February is Hockey Is For Everyone month, and the campaign has been conducted in partnership with the You Can Play Project, which works closely with LGBTQ athletes and promotes respect and inclusion for everyone. 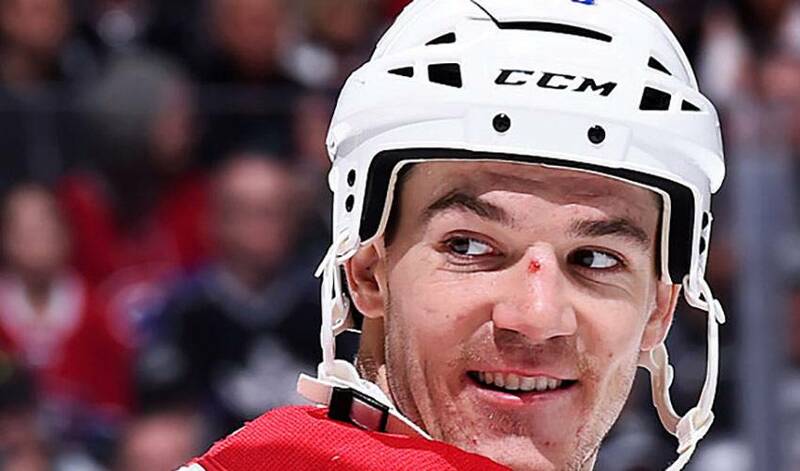 Each of the 30 NHL clubs have designated a You Can Play ambassador – one player for each team – with Andrew Shaw being named the Montreal Canadiens representative. It’s a role Shaw is honoured to have. During the 2015-16 playoffs, Shaw, then with the Chicago Blackhawks, was given a one-game suspension and fined for directing a homophobic slur at an official. The centreman issued a heartfelt apology at the time, noting that he wanted to learn from the mistake. He’s trying to show that he continues to live up to his words. "[You Can Play] brought it to the team and I thought it would be a good opportunity to help out. What I went through last year, I learned from it. Words affect people more than you think, and that's something that I learned," said Shaw to a large media scrum following the Montreal Canadiens practice on Friday. Shaw is particularly proud to be in a position to champion the NHL and NHLPA’s Hockey Is For Everyone month, an initiative that began on February 1. The 25-year-old can also count on the support of his teammates. Part of You Can Play’s mission includes educating athletes on ensuring the safety and inclusion of all in sports – including LGBTQ athletes, coaches, and fans. Shaw’s ambassadorship this season is living proof that their work is creating positive changes in the world of professional sports. Each club will have a designated ‘You Can Play’ night over the course of the month, with the Montreal Canadiens hosting theirs on February 22nd.